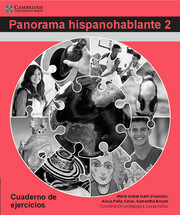 This teacher's resource, containing a book and CD-ROM, accompanies the Panorama hispanohablante 2 student book and workbook and is designed to support teachers in preparing their students for the ab initio Spanish course for the International Baccalaureate Diploma. The resource contains a book with answers to all the questions, pedagogical aims of each exercise, advice on lesson structure, examiner's tips, and a chapter on language games. 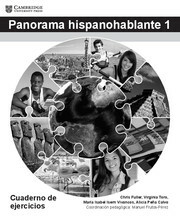 The CD-ROM contains additional worksheets with extra examination practice and a student glossary in French, Spanish and English. 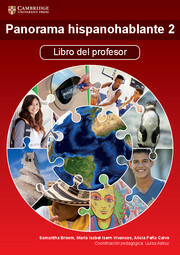 Contains an editable glossary of new words covered in the student book, organised by unit and alphabetically (CD-ROM). Printable worksheets with extra exam practice (CD-ROM). Pedagogical aims of each exercise. 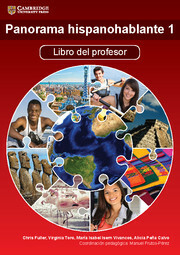 A chapter on language games. 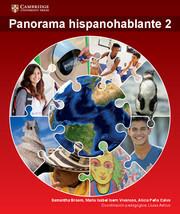 Contains all answers to the student book and workbook.